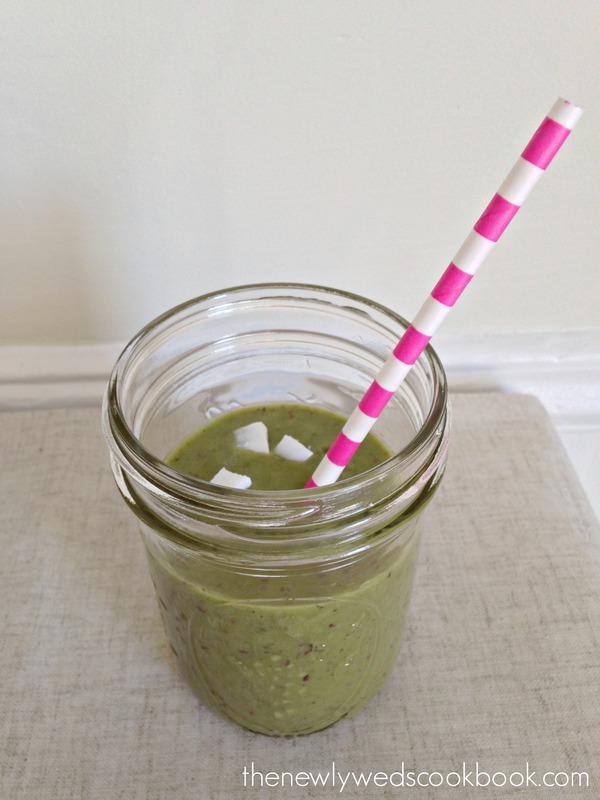 Okay, I will be honest, the thought of the green smoothie freaked me out a little bit at first. I recently just started putting a handful of spinach in my smoothies, but it wasn’t enough to change the color to green. 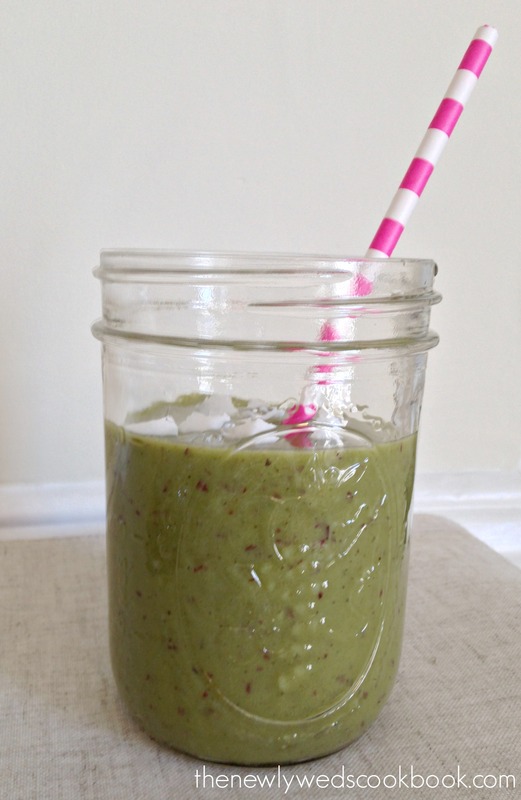 Today, I wanted to take the plunge and try a true green smoothie. I added much more spinach! Once I got over the color of it, I realized it was quite good. 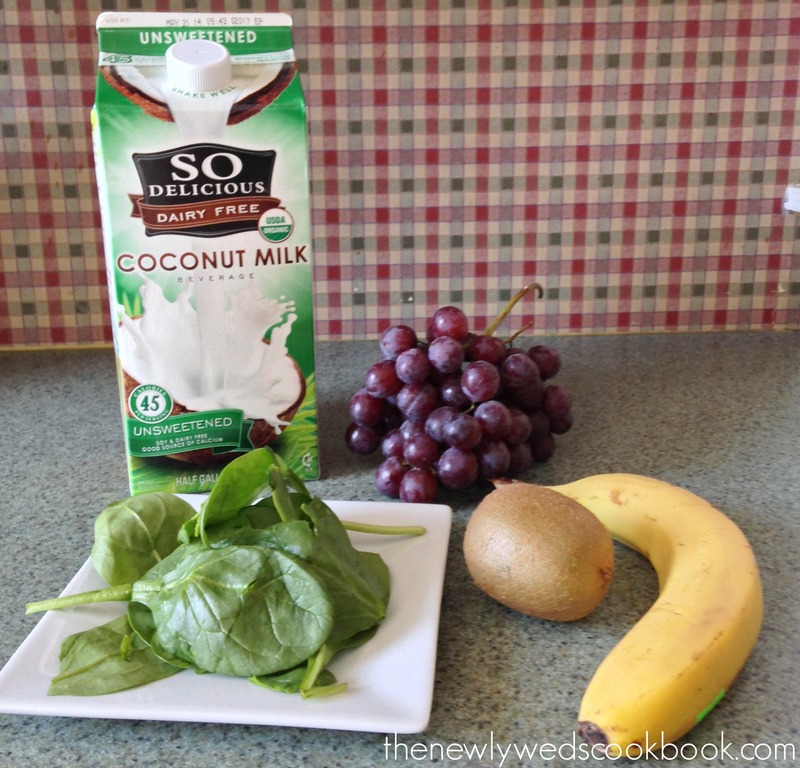 This is such a quick and easy drink to blend up, and take on the go for breakfast, or for a snack. 1. 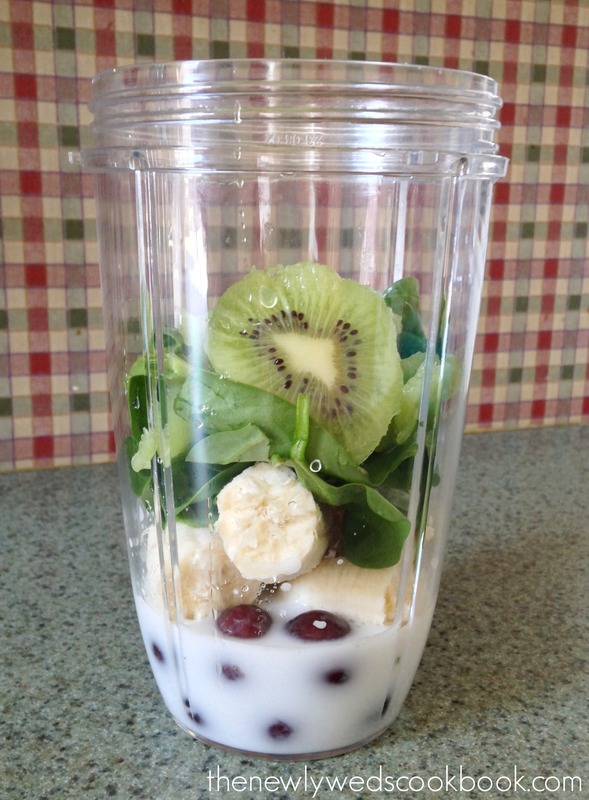 Throw it all in a blender, mix, and serve!